Adam Reed's hilarious animated comedy Archer is returning to US TV this spring, with its eagerly awaited eighth season. The recently released full trailer- which you can check out below- reveals the premiere date for the new series will be April 5th. The series is moving from FX to new sister network FXX, and it's not just the channel that has changed. Following on from Season seven- which saw Archer and colleagues set up a detective agency in LA, season eight will shake it up again. The twist is that this time is it's a film-noir influenced 1940's dreamscape that takes place in Sterling Archer's head (hence the Dreamland subtitle). Travelling through time doesn't seem to have had radically changed the cast's personalities of their always entertaining interplay, and this trailer suggests that despite the "New Season.. New Era.. New Network", it's basically business as usual. And we wouldn't want it any other way. 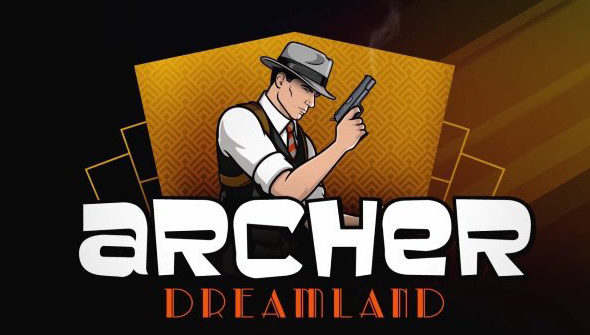 Archer: Dreamland will air on FXX at from April 5th at 10pm. No UK release has been announced as yet, but all previous seasons are available on Netflix UK.